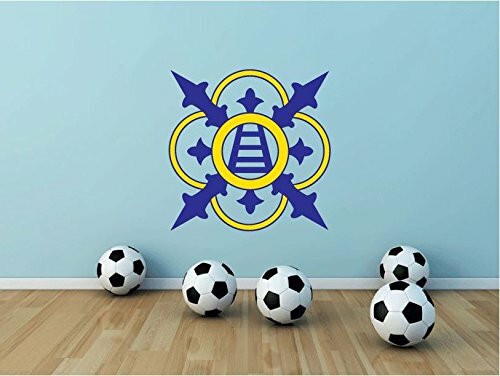 Chievo Verona Retro Italy Soccer Football Sport Art Wall Decor Sticker 22" X 22"
If you have any questions about this product by postteam, contact us by completing and submitting the form below. If you are looking for a specif part number, please include it with your message. Piacenza Calcio FC Italy Soccer Football Sport Art Wall Decor Sticker 22" X 22"
Vicenza Calcio FC Italy Soccer Football Sport Art Wall Decor Sticker 25" X 21"
Reggina Calcio FC Italy Soccer Football Sport Art Wall Decor Sticker 25" X 21"
Livorno FC Italy Soccer Football Sport Art Wall Decor Sticker 22" X 22"
Salernitana Calcio FC Italy Soccer Football Sport Art Wall Decor Sticker 25" X 18"
Sampdoria FC Italy Soccer Football Sport Art Wall Decor Sticker 25" X 19"
Sampdoria Genoa FC Italy Soccer Football Sport Art Wall Decor Sticker 22" X 22"
Mantova FC Italy Soccer Football Sport Art Wall Decor Sticker 25" X 22"
Messina FC Italy Soccer Football Sport Art Wall Decor Sticker 25" X 18"